The HT Robot Chassis features two gearmotors with 65mm wheels and a rear caster. The chassis plates are cut from 3mm acrylic. 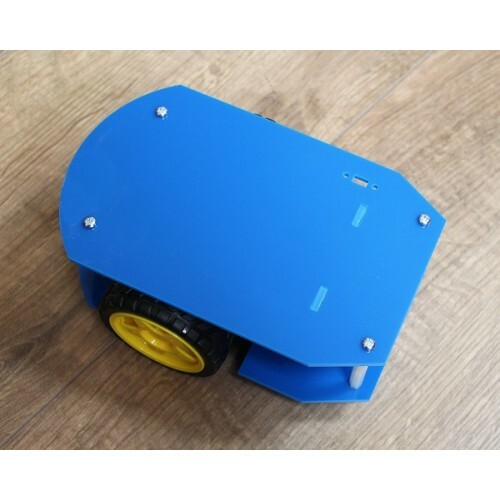 Simply bolt the two pre-cut platforms together with the included spacers and screws, attach the motors and caster and add your favourite robotics controller. This kit includes all of the parts needed to assemble the chassis. This chassis is an ideal base for building line following robots and is a great way to learn robotics. 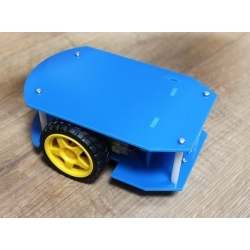 With plenty of space to add your choice of microcontroller and sensors this is a great basic platform to start from.